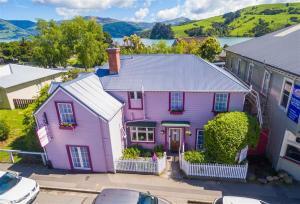 إن فندق Akaroa Cottages - Heritage Collection بموقعه الممتاز في هذه المنطقة السياحية هو نقطة انطلاق جيدة لنزهاتك في هذه المدينة المذهلة. يمكن من هنا للضيوف الاستمتاع بسهولة الوصول إلى كل ما تقدمه هذه المدينة النابضة بالحياة. يشكل هذا الفندق ملاذاَ مريحاً للاسترخاء ويمنح زواره فرصة للاستجمام والتجدد، وهو يقع على بعد خطوات من المعالم السياحية الكثيرة للمدينة. 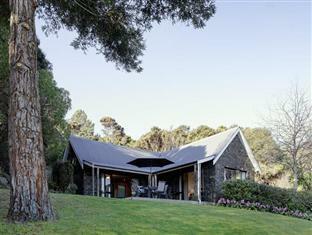 إن الخدمات التي يقدمها Akaroa Cottages - Heritage Collection تضمن للنزلاء إقامة مريحة. يمكن الاستمتاع بمجموعة من الخدمات على أعلى المستويات في الفندق كمثل مرافق مخصصة لذوي الاحتياجات الخاصة, واي فاي في المناطق العامة, صف السيارات, خدمة الغرف, رعاية أطفال. استمتع بوسائل الراحة الراقية في الغرف أثناء إقامتك هنا. بعض الغرف تتضمن تلفزيون بشاشة مسطحة, حوض الاسترخاء, غرف لغير المدخنين, مكيف هواء, تدفئة لمساعدتك على استعادة طاقتك بعد يوم طويل. كما أن مجموعة الخدمات الواسعة الموجودة في الفندق لضمان راحتك تترك لك الكثير من الخيارات لقضاء وقتك أثناء فترة إقامتك. مهما كانت أسبابك لزيارة المدينة، فإن Akaroa Cottages - Heritage Collection هو الخيار الأفضل لإقامة مثيرة وممتعة. يرجى ملاحظة أنه غير مسموح بوجود الحيوانات الأليفة في هذا العقار. Amazing place, amazing location. The let down was the room servicing! Spa bath had hair in tub, and a build up of soap scum all around the jets and filter. I scrubbed the whole thing out for half an hour before it could be used (not a great start to the relaxing weekend) We also couldn't get the heater to work once it started to cool down that evening. There was also things like no English breakfast tea, a can of airfreshner that was completely empty, a box of tissues with only 3 left and only 1/2 a roll of toilet paper those things were definitely an inconvenience. A proper servicing of the room would have made this an absolute pleasurable weekend. However I still would recommend this to anyone as it was the most beautiful place to stay. I'll just make sure I pack a few extra cleaning supplies next time. Wow...... a beautiful location and stunning views and gardens. Our cottage was perfect, clean and very comfortable. Thank you Rick for looking after us so well. Not enough hot water. There is a massage tub in the room, but it seems that has not been used for a while. Some "hair" comes out from the hydro jets><||| Far from the town. Were told on arrival that our room had been double booked. Very clean cabin, good facility, bath room can be a bit more modern:-). Adequate space. Luke, who is on duty helped us to make dinner reservation on Christmas Day and provided a roller bed for our daughter. Great setting in native bush, plenty of bird life, great views. Had a peaceful stay ! It was great and would go back! Perfect place to relax and Unwind, beautiful view and quiet place. Fire place in room and parking oustside the cottage. 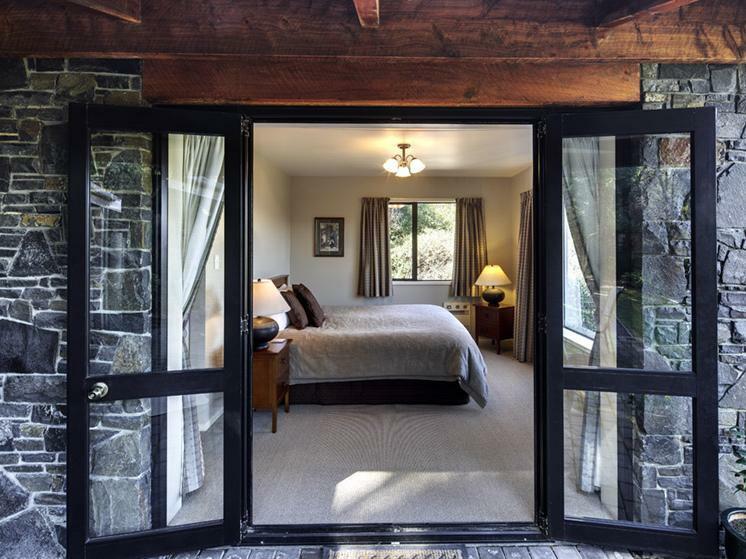 Town near walking distance, Perfect for a gataway from busy concrete jungle life. كوخ مع طلّة على البحر. 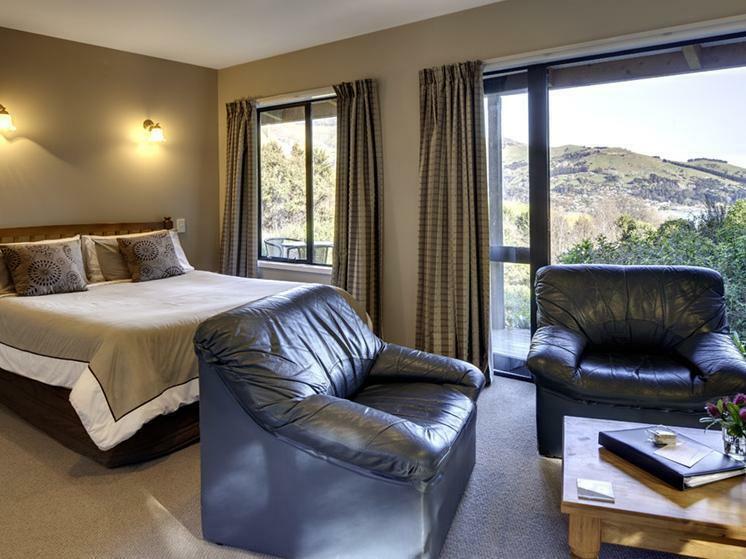 We get upgrade the room for free from Akaroa Cottages.. Thanks for your treat.. :) We stayed for 9 days in south island, we stayed in 4 accomodations within 9 days, but this cottages has the best view.. We still remember the view from sandyford..
We spend one night in Akaroa cottage. 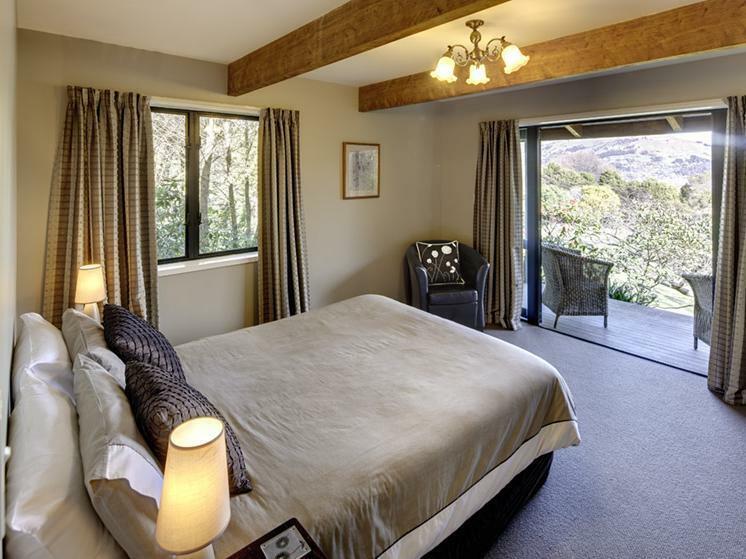 Everything was great, both bungalows had a great view on Akaroa. The rooms are cosy and the bathrooms are well equipped with a sauna type bathtub in each. This is a small resort with less than 10 bungalows allowing a quiet and relaxing stay. The garden is very well kept and the flowers are very nice. We had a delightful couple of days and really enjoyed our forays out into the countryside - beautiful area of the world!